Homes starting from the $190’s! Travel North on US 1 from Wake Forest and turn Right onto Holden Road toward downtown Youngsville. Travel about 2 miles and turn left onto Cedar Creek Rd. 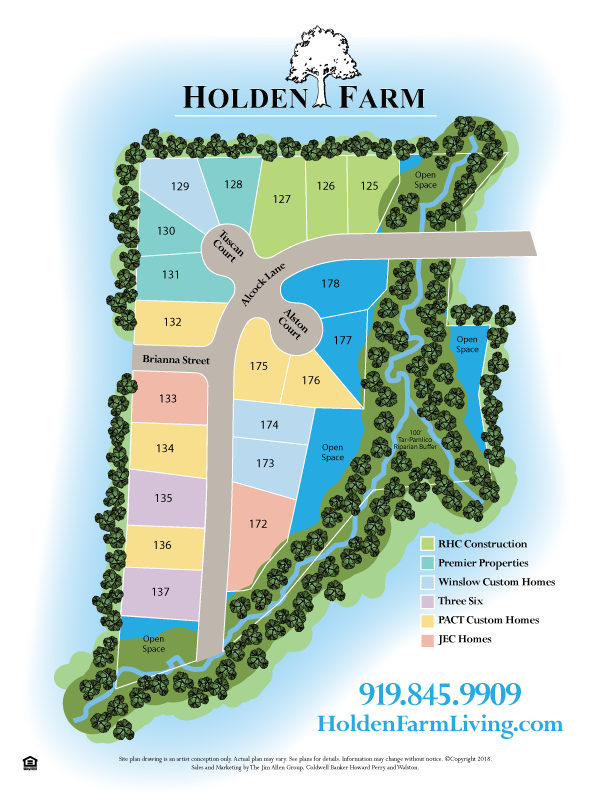 Travel 1.5 miles just past Holden Creek Middle School and Holden Farms will be on your left.